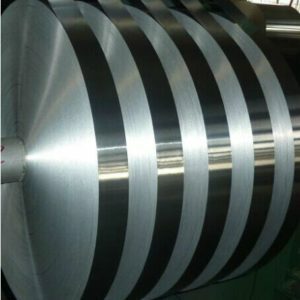 5182 aluminum alloy strip is mainly used to manufacture cans and rings of aluminum material. Aluminum cans has many characteristics, such as light in weight, good resistance to heat, good conductivity, no smell and non-toxic. Besides, vivid colors and patterns can be easily printed on it. What’s more important, aluminum cans can be recycled, which is good for our living environment. Thus, from 80s in 20 century, the demand for aluminum cans became bigger and bigger increasingly. Thus, aluminum cans account for an important seat in world drink packaging field, especially developing countries, such as Brazil, India, China, etc. There are great spaces to develop and the increasing rate will keep at 8%. 5182 aluminum alloy strip is the main alloy for aluminum can rings. The bottom of aluminum rings mainly adopted 3004 and 5052 aluminum alloys. Except for aluminum cans, these alloys can also be used to produce other packaging vessels. As drink industry is getting better and better, 5182 aluminum alloy strip will face more challenge as well as opportunity. 5182 aluminum alloy strip cannot be heat treated but with high strength, good resistance to correction and weld-ability. So is it also high suitable for ship building, oil tanks of airplane, tubes, as well as vehicles, etc.